Revival is a season of God's visitation. It is a season of heaven's outpouring on earth. Things are different during a season of visitation! We pray asking God to send revival—an outpouring or a visitation but are we ready for revival when it happens? We have to be prepared for revival when it does show up! 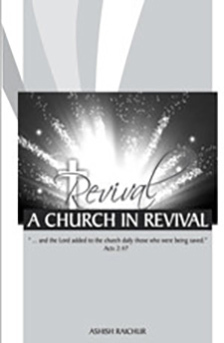 What would a church look like when revival happens? What would happen to you and me when we are in the midst of a revival—when there is a heavenly outpouring, a spiritual visitation of God? One sure thing is that church will not look like we know it now. The purpose of this message is to give us a picture or vision of what church life would be like when there is a move of God and we move into a season of visitation from Heaven. Be prepared for the outpouring of God!